Item # 316127 Stash Points: 2,495 (?) This is the number of points you get in The Zumiez Stash for purchasing this item. Stash points are redeemable for exclusive rewards only available to Zumiez Stash members. To redeem your points check out the rewards catalog on thestash.zumiez.com. 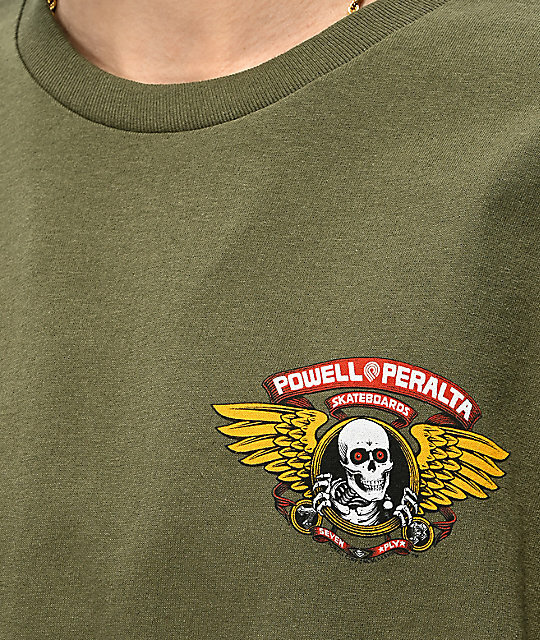 Represent one of the most classic brands and looks in streetwear with the Bones Powell Peralta Winged Ripper Army Green T-Shirt. 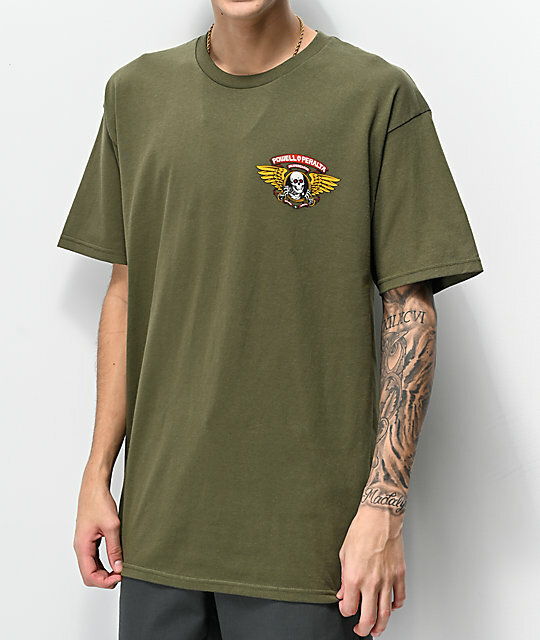 This all-green shirt features the world famous Powell Peralta skeleton at the left chest and back with accompanying script logos and gold wings at either side for an old school skateboarding inspired look. 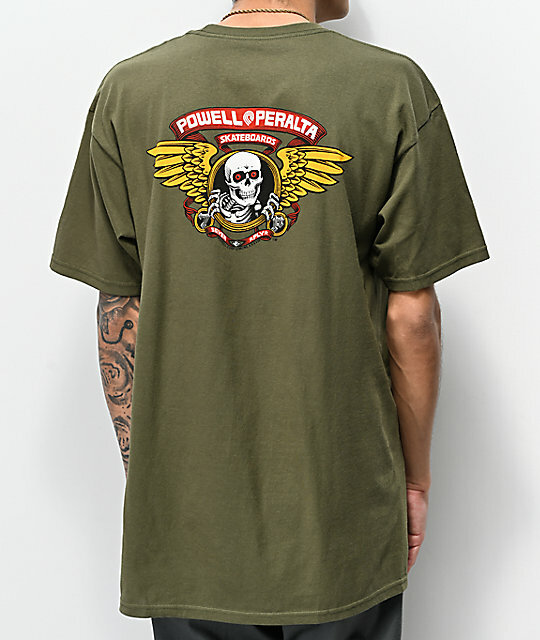 Powell Peralta Winged Ripper Army Green T-Shirt from Bones. Powell Peralta skeleton graphic at the left chest and back with script logo detailing and gold wings at either side.